A large flock of pintail ducks explode from a cold, foggy wetland and over the heads of roosting sandhill cranes. 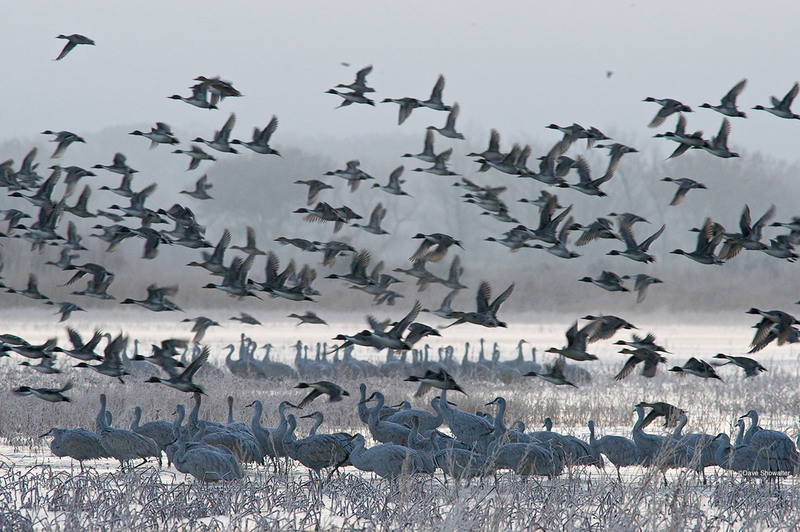 Bosque Del Apache NWR is an important refuge for waterfowl, particularly in winter. Photo © copyright by Dave Showalter.